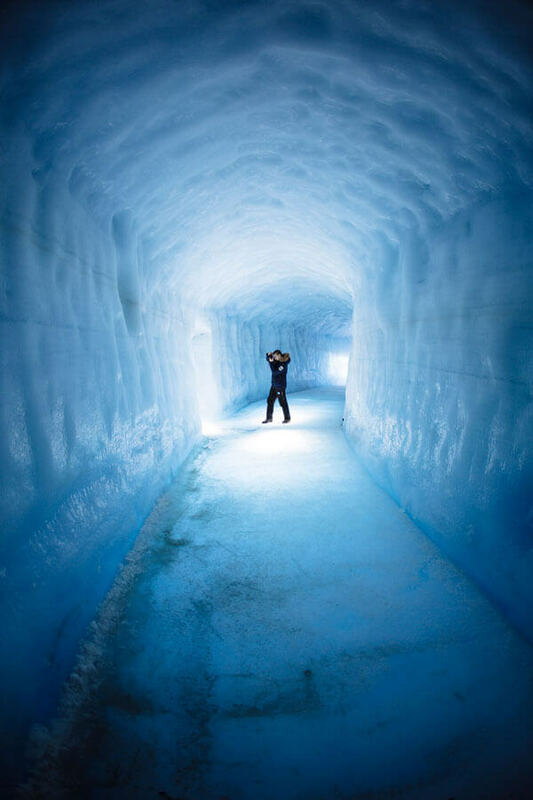 This day trip starts with a drive on a highland road which leads us to the Kaldidalur valley and Langjökull glacier. 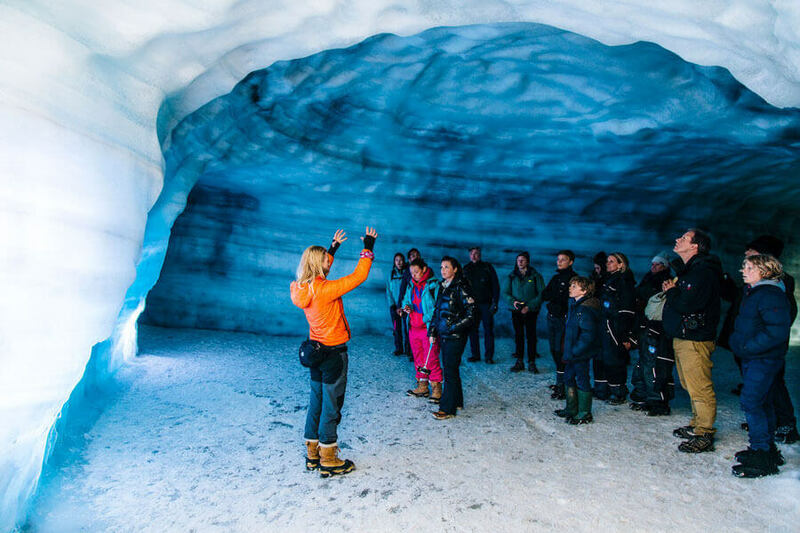 Once we arrive at Iceland’s second largest glacier, Langjökull, we meet up with a small group and a glacier guide and explore the ice cap from inside. 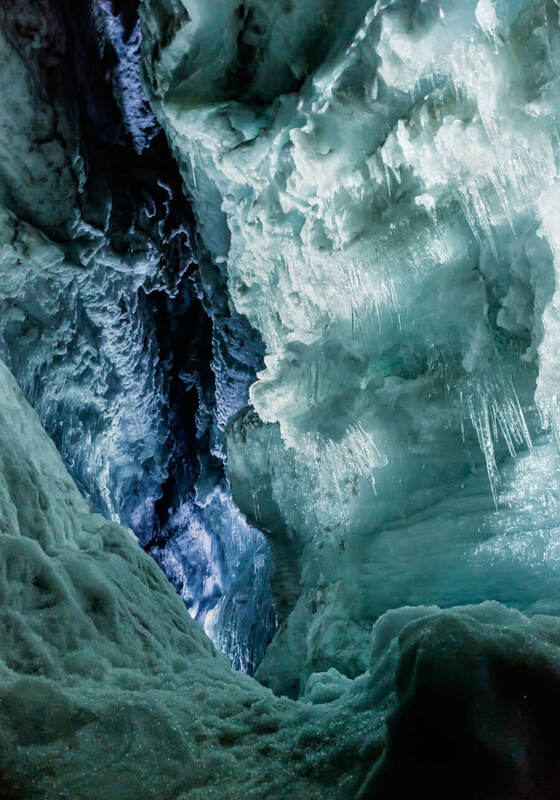 After this magical ice cave experience we make our way to Borgarfjörður and Hraunfossar waterfalls. A stone’s throw away from Hraunfossar we find Barnafoss waterfall, named after a tragic accident that is said to have occurred at the beautiful cascades of Barnafoss. After that we visit Reykholt, as historic place, the home of Snorri Sturluson which was one of Iceland’s greatest saga writers. The tour continues to Deildartunguhver, the most powerful geothermal spring in all of Europe. On our way back we once again head of the main highway and drive home via Hvalfjörður, Whale Fjord, with its remains of World War II and a spectacularly scenic route with many sights along the way. 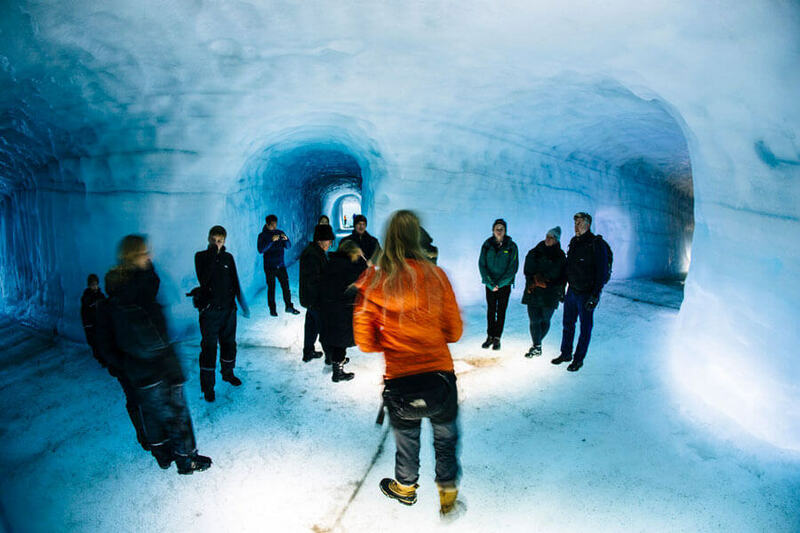 – The ice tunnel is scheduled group tour, sold per person. 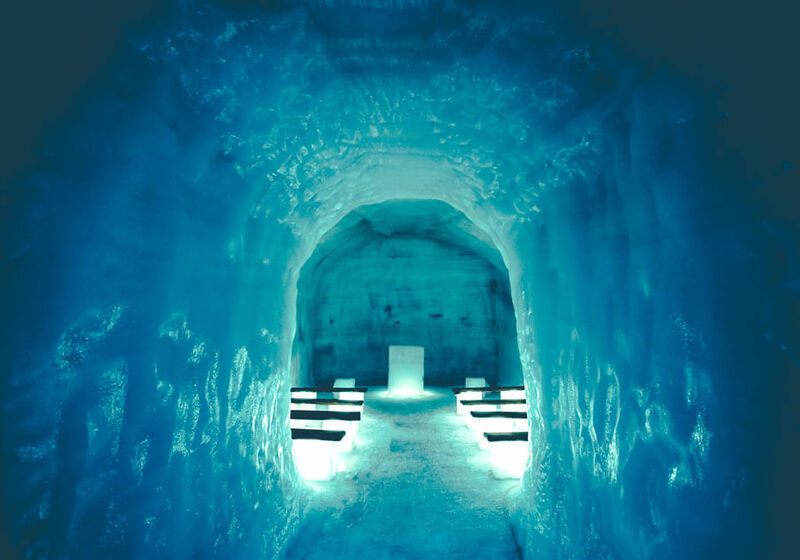 In extras please choose the number of tickets needed for the ice tunnels.